A mix of Vietnamese and international films. This selective rather than comprehensive list is intended to bring an international as well as indigenous perspective that in general- with the possible exception of Apocalypse Now- is not dismissive of the inherent value of the country and its people, or supportive of imperialism. Most US films on Vietnam focus on the war, and from a strongly US perspective or one that is antagonistic to the Vietnamese. Too often the Vietnamese are mysterious deadly “gooks”, and even films questioning of US involvement show little empathy for or interest in their lives: US suffering is what matters. Oliver Stone in Heaven and Earth at least shows some interest in the Vietnamese, though as in Born on 4th July (with its anti-war stance), the film is still largely set in the USA. In Full Metal Jacket, the focus on the US protagonists and dehumanising of the enemy is so strong that a fatally wounded female Vietnamese sniper becomes a more shocking exception; an actual breathing, feeling individual . But despite its undercutting of militarism, its apparently ironic “Mickey Mouse” ending may be lost on many, and the film till falls into the usual trap. Two US documentaries, In the Year of the Pig (1968) and Hearts and Minds (1972) effectively challenge US imperialism, during the conflict. The former, eschewing narrator voice-over, exposes the lies, self-interest and racism of the whole venture; the opinion-makers condemn themselves when their reality is seen to be so much hubris, divorced from actual events and lacking understanding of Ho Chi-Minh’s appeal. 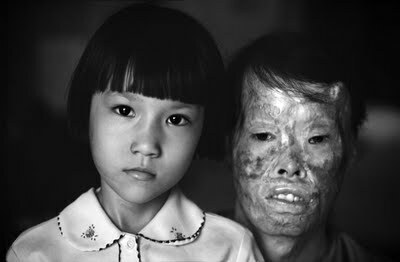 Whereas so many US films glamourise violence, the documentary Vietnam: Long Time Coming (1998), shows the reconciliation of disabled US and Vietnamese combatants. Taking a generalised view: while US films often revel in explosions, bombast and testosterone, it’s noticeable that Vietnamese films are more female-centric, and many are remarkably free of bitterness. For the Vietnamese, the war against the US was just one in a line of (astonishingly resilient) anti-colonial struggles, and there are other concerns too. For the US, Vietnam simply was the war. For one, a matter of power, control and prestige; for the other, a matter of freedom and survival. The glossy Oscar-winning French film Indochine’s depiction of French colonialism, (shallow) relationships with the Vietnamese, and ignorance of indigenous culture can probably be given the benefit of the doubt as reflecting rather than supporting colonial reality. On the other hand, the 1967 French film Far from Vietnam, with a mix of perspectives from various leftist New Wave and international directors, condemns outright the US imperialist war, as does the Cuban Santiago Alvarez’ Hanoi, Tuesday 13th. Noyce’s 2002 version of The Quiet American is closer to Graham Greene’s novel than the 1958 version he despised as American propaganda perverting his work. 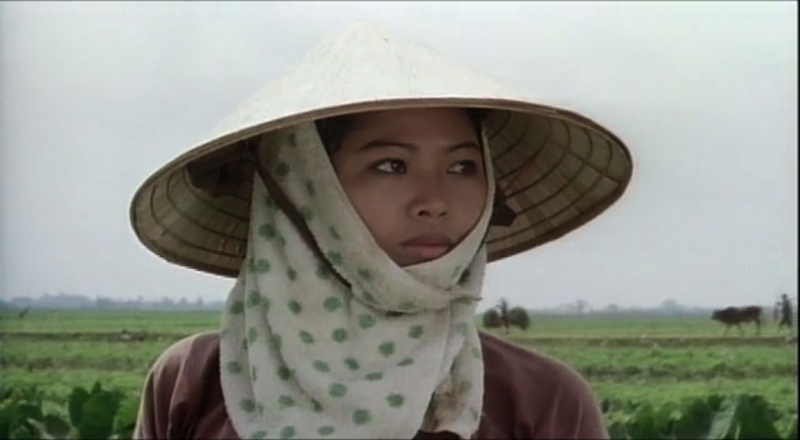 I’ve decided to include some apparently essential Vietnamese films i’ve yet to see; a fuller selection can be found in Nguyen Thi Vi’s list Vietnamese Cinema, which includes a Wikipedia summary of Vietnam’s national cinema that i won’t duplicate here. I especially like Tran’s quiet beautiful drama At the Height of Summer (2000), about three sisters and their relationships. 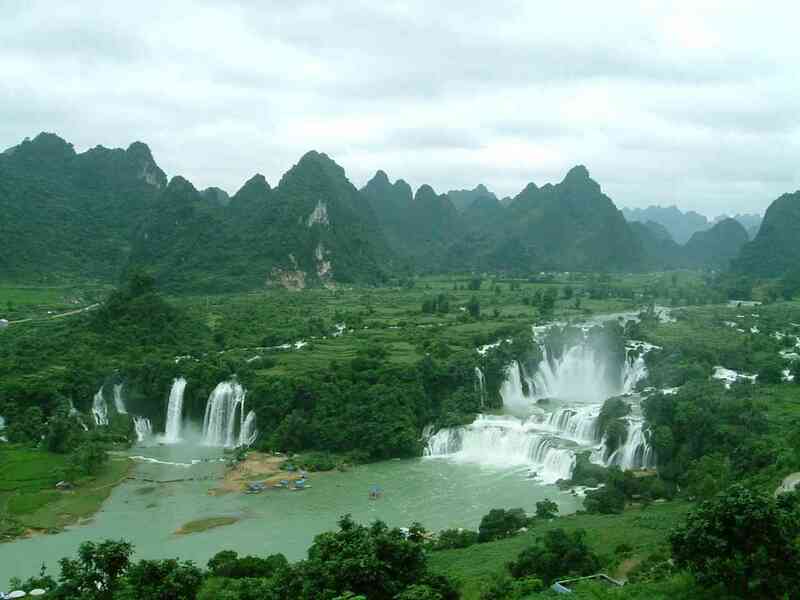 Although its anti-colonial wars were the focus of worldwide attention and an important part of 20th century history, Vietnam, its culture and cinema, deserve attention in their own right. But sounds of birds sweeten the air this morning. For two silent clusters of ripe guavas.